YOUR Business and Your LIFE! From Business Owners, CEOs and their companies to movie buffs, participants in this “boardroom theater” quickly learn how to change both their professional and personal lives for the better—all through the power of film. Jim White delivers his own Oscar-winning performance as he guides you through pivotal scenes from classic movie favorites like 12 O’Clock High, Apollo 13, and Invictus to reveal these secrets. Some movies change our lives forever—this four-hour movie event will change the way you live and the way you lead! One giant, profitable leap forward! Using the movies Apollo 13, Invictus, and 12 O’Clock High, the intensive half-day program addresses challenges facing your company each day. Jim will provide you with the tools you need to create strategies for success and achieve increased revenue, earnings and cash flow within your organization. We will discuss the emerging forces and trends within the industry and how you might take advantage of them by managing changes strategically. We’ll also examine why fostering continuous innovation and growth within your team actually requires a more entrepreneurial mindset in today’s fiercely competitive marketplace. There are no theories here. I show you what works, and how to make it work for you. True leaders understand that just as having a clear vision for your project helps clients embrace your ideas early on in the process, strong leadership within your firm empowers everyone to make a difference to your bottom line. Consumers are more knowledgeable and demanding than ever before. Today’s highly interactive environment has created a new organizational imperative — a dynamic managerial process based on a framework of leadership and accelerated innovation. To successfully develop a leadership culture within your firm, you must first understand one fundamental concept — there is no “one-size-fits-all” path or strategy. It begins with Jim’s half-day, roll-up-your-sleeves Red Carpet Tour program. Using his classic movie series featuring 12 O’Clock High, Apollo 13, and Invictus, Jim will teach you about leadership, communications and innovation and show you how you can use what you learn to improve your earnings, cash flow and productivity. Jim’s approach is to develop the complete person as a leader. It is those leaders, across all positions in your company, who are equipped to contribute directly to the bottom line. 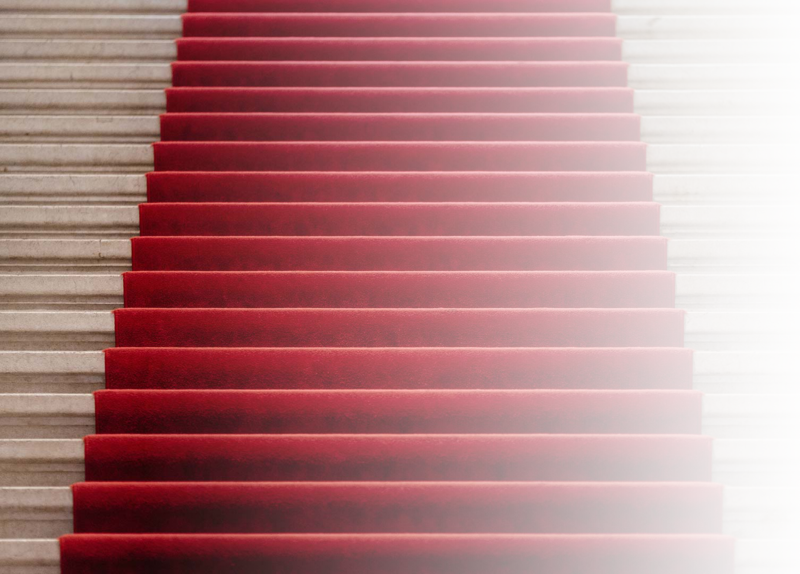 Jim’s Red Carpet Tour will show you how to elevate and generate trust throughout your organization by creating a continuous flow and exchange of ideas that inspires a culture of collaboration and innovation. During the four-hour program, Jim will show you more about how to lead your company than you would learn in a lifetime from seminars, books, training meetings, and paid consultants. Through active participation, dialogue, and practice, you will leave with a business action plan, a personal action plan, and strategies designed to address the challenges facing your company. How to develop structure, discipline, delegation, planning, and accountability—at every level of your organization and your life and much more…. This is a roll up your sleeves event! All this from movies you already know and love! If you would like to inquire about an event, please click below and we will have one of our staff contact you to determine the best date and location for you.